Neuropsychological Ambulatory Aruba invites you to participate in a multi-disciplinary Seminar and Workshops on Child Abuse and Violence with expert training and networking opportunities for professionals in the field. This is one of few Seminars in the Caribbean, which addresses the Clinical, Forensic, Administrative and Judicial, Criminological, Psychological, Psychiatric, Social patterns of child maltreatment and fatalities. Issues of interest are, among others: Neonaticide, Filicide, Sudden Infant Death Syndrome (SIDS), Munchausen Syndrome, including, but not limited to risk factors, exposure to violence, physical abuse and cumulative harm. In short; approaches that can lead to a better understanding of strategies for timely detection, intervention, prevention and protection. 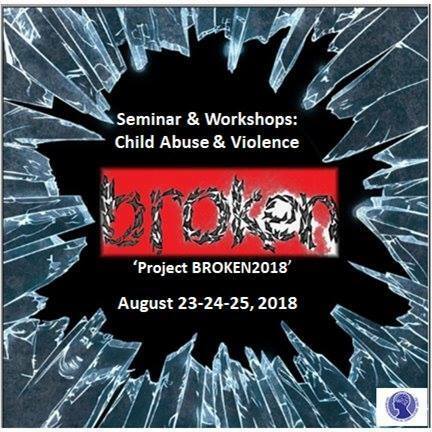 Besides lectures given by local and internationally awarded speakers, this Seminar offers 3 workshops with tracks that are designed for – among others-: Child Protective Services, Social Workers, Forensics, Criminologists, Pediatricians, Psychiatrists, General practitioners and other Health-care providers, First responders, Child/Family-Relationships Therapists, Educators, Law enforcement, Child Safety Officer’s, Clergy, Children and Youth-Serving Organizations (Including students Social Science & Medicine). In short; agencies involved in responding to children and their families; including victims and / or perpetrators of child maltreatment and violence). This Seminar on Child Abuse and Violence is based on the United Nations Convention on the Rights of the Child of 20 November 1989 (resolution 44/25), which states that every child has the right to live and fully develop in a safe and just world. In order to achieve this, it is extremely important that both the authorities and the community, in which the child grows up, make every effort to ensure that children can develop optimally and are protected against all forms of violence, abuse, neglect and abuse by their (foster) parents and/or significant people in the child’s life and community. The seminar will take place in Aruba on August 23, 24 and 25, 2018.